swings into action to prove his innocence. 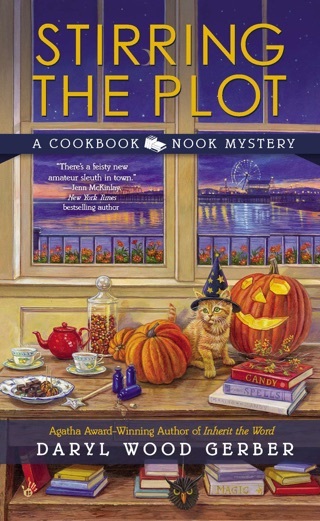 the plot interesting with all the twists and turns. the bonfire ruins. Is she a target?? 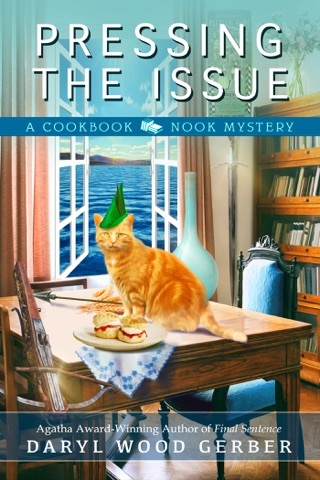 Jenna has a cat named Tigger who features in this story. Series. It can be read as a standalone. suspense, mystery with a touch of romance. for the book. My opinion is my own. 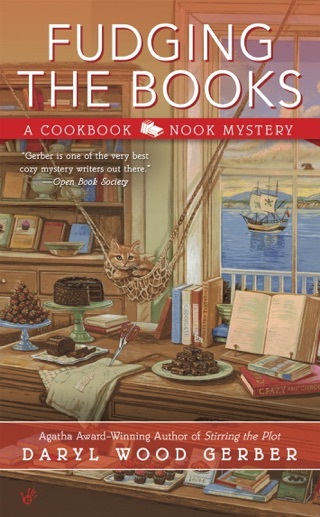 Grilling the Subject by Daryl Wood Gerber is the fifth book in A Cookbook Nook Mystery series. Jenna Hart and the town are getting ready for the Wild West Extravaganza that is coming to Crystal Cove. 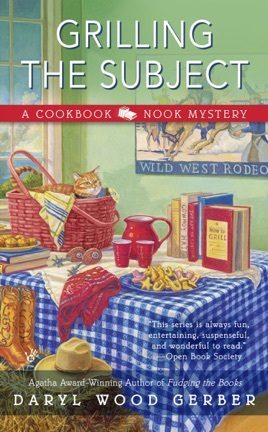 All the shops have decorated to reflect the wild west theme including Jenna’s The Cookbook Nook. Then Jenna finds out that the Shane Maverick is now running the WWE. They used to work together at Taylor and Squib Advertising in San Francisco. Shane is a type of guy that reminds you of a snake oil salesman (just what they do not need). Cary Hart, Jenna’s father and the other homeowners in the his neighborhood have been having difficulty with Sylvia Gump over some land. Sylvia is trying to take over other people’s property. Sylvia has taken to throwing loud parties (bands with electric guitars) and has even erected an ostentatious fountain (along with hedges and fences). Cary has a loud argument with Sylvia on the phone when she is setting up for another party. The next morning Sylvia is found dead by her fountain. Cary was out fishing at the time (by himself, of course) which means he has no alibi. Jenna will do whatever is necessary to clear her father off the suspect list (which considering Sylvia is quite long). Will Jenna be able to wrangle the real killer? Jenna has felt that someone is following her. She has only been able to see a shadowy figure. Who is it and why are the following her around town? Jenna is in for the shock of a lifetime when she discovers the individual’s true identity. Join Jenna as well as her family and friends for barbecue, iced tea, and other delectable delights in Grilling the Subject. Grilling the Subject is an entertaining novel. 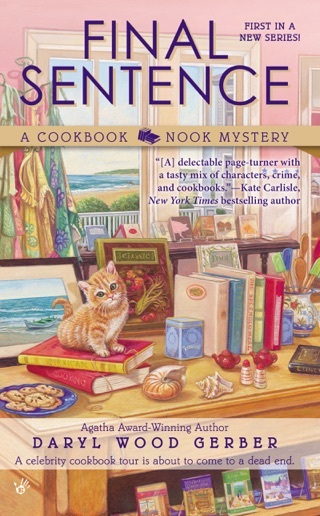 It has developed characters, a gorgeous setting in sunny California, and great descriptions of cookbooks. The book is easy to read and has a good pace. 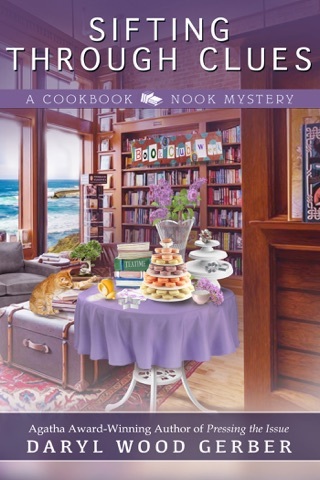 The book is 277 pages long and has some recipes from Katie, Jenna, and Bailey at the end (with their comments). I give Grilling the Subject 4 out of 5 stars (I liked it). The mystery will lead you on a merry chase, but I thought it was easy to solve (I read a lot of mysteries and love solving them). I was surprised by the person who is following Jenna. It was a great twist. While this is the fifth book in the series, it can be read alone (the author gives the reader’s Jenna’s backstory to catch them up). I do, though, highly recommend you go and read the other four books when you get a chance (if you have not enjoyed them yet). 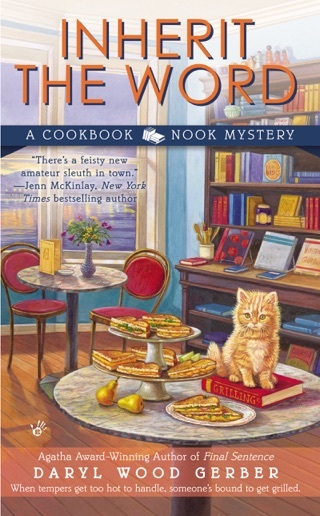 I look forward to the next A Cookbook Nook Mystery (and any other books by Daryl Wood Gerber). I received a complimentary copy of the novel in exchange for an honest review. The opinions and comments expressed above are strictly my own.